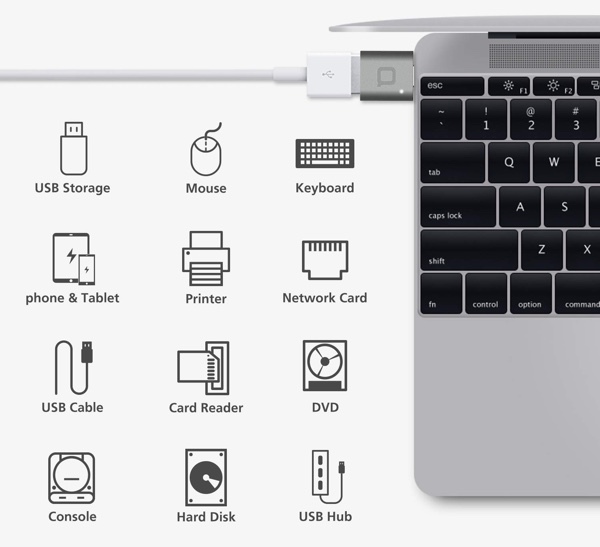 Convert that USB Type-C port on your MacBook to a USB 3.0 Type-A port for as little as $7.99 using this handy adapter, courtesy Nonda. The world is starting to slowly but surely make the jump to USB-C, and it can’t come quickly enough for many of us. We’re still in that unfortunate period of time where we are close to having USB-C become the way everything connects to accessories and whatnot, but we’re still using legacy devices, too. If you own a modern notebook, you might find yourself needing an adapter just to plug in a portable drive, for example. That’s where these great little adapters come into play. Made by Nonda, these adapters come in a range of colors, but it’s the space gray one we’re interested in here. 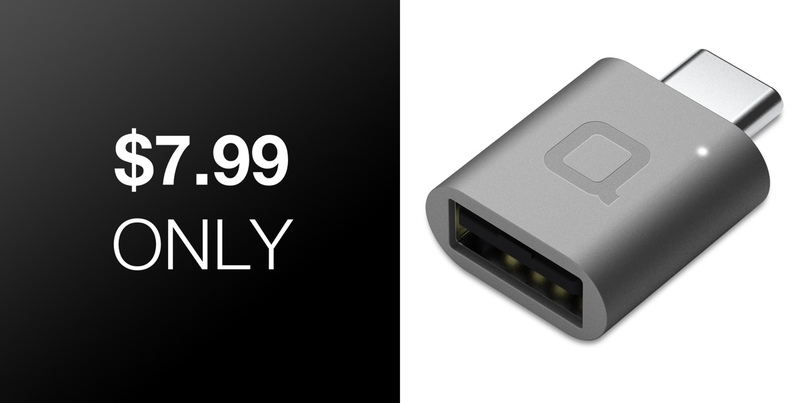 If you have a Space Gray MacBook, or just aren’t that concerned about your adapter matching the color of your computer, this is a steal right now at just $7.99. For your $7.99 you’ll get a USB-C to USB-A adapter, which means that you can take any USB device and then plug it into a USB-C port if you place this adapter in-between. It’s perfect for use with all manner of things, and with USB 3.0 speeds of up to 5Gbps, you shouldn’t struggle for throughput, either. If you do want to get yourself a silver or gold adapter, they’re also available for $8.99 and $9.99 respectively. No matter which you get, it’ll be super small and unobtrusive, which is all you can really ask for from an adapter of this ilk. If adapters are something you find yourself always in need of, look no further than these.